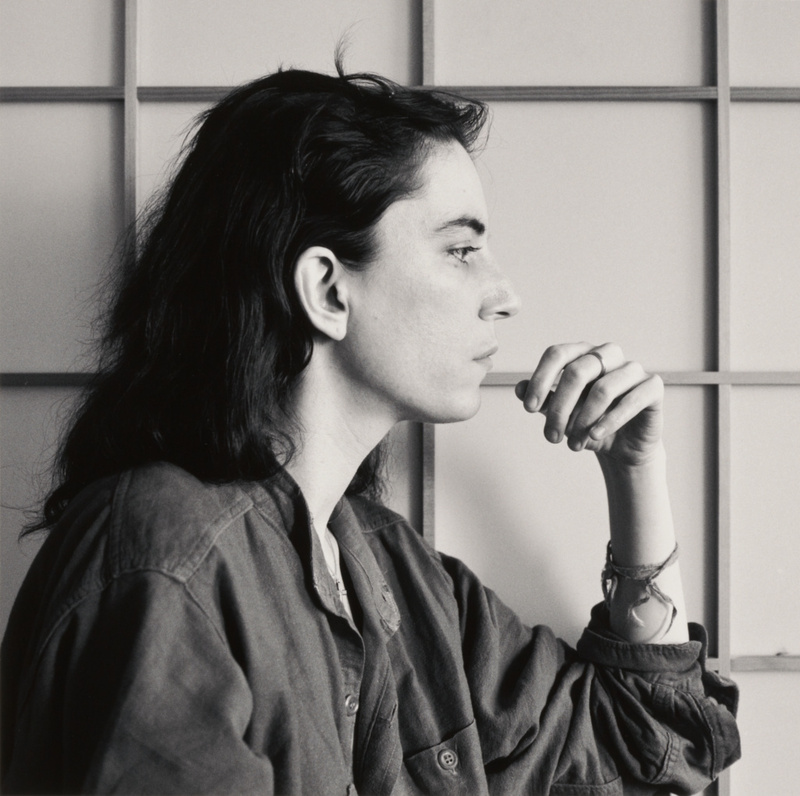 Verso, mount: lower left, in pencil, "325 Patti Smith, 1979 [space] 5/10"; lower right, in pencil, "2006"
Woman with dark hair sitting in profile wearing a loose denim shirt and holding her hand near her mouth. A gridded screen serves as the backdrop. Mapplethorpe, Robert. Robert Mapplethorpe: 1970-1983, exh. cat. (London: Institute of Contemporary Arts, 1983), p. 49.